Sometimes, Chickens, the universe is a magical place. As many of you know, Charming Suitor and I love our apartment. Okay, I love it and CS loves me, so he moved in here with me, which is about as amazing a declaration of love as anything, and for which I am deeply grateful every day. I have lived in my apartment, now our apartment, for almost 19 years. And it has much to recommend it, including expansive size, high ceilings, great location, all the original built-ins and hardwood floors. Some things that are not ideal include radiator heat and no central AC, a tiny little corner tub in which one can only soak half their body at a time, and a kitchen that was last remodeled in 1976. We fixed the AC problem by upgrading the electrical, and with five window units we keep the place very comfortable all summer long, even during the horrible heat wave. The tub is not fixable, but it makes hotel tubs a special treat, and at least the shower has amazing water pressure and never runs out of hot. But the kitchen. Oh the kitchen. I am sure in 1976 it was the height of elegance. Dark wood country cabinets, faux brick lino floor in a harvest gold, ivory formica counters, and a heavy cast-iron double sink with almond enamel. 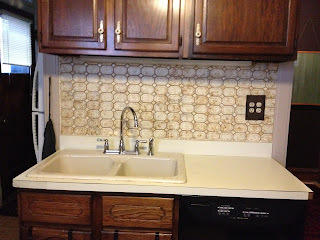 Intricate tiling backsplashes in almond with brown details. However in 2012, not so much. The floor we keep almost entirely covered in a rug and gel mats in front of the sink and stove, so it mostly disappears. And the counters, while not our favorite material, were at least neutral and in fine shape. But the sink. Shallow, and neither side deep or wide enough to effectively deal with our big pots. A short little faucet, and hand-held weak sprayer. Not a kitchen sink for cooks. When CS moved in we toyed with a mini-remodel. I am lucky that my relationship with my landlord has always been that if it is functionally broken, he covers it, if it is cosmetic, I am welcome to do as I like as long as I don't damage the building structure or anything original to the house. In talking to our handyman, he offered us a sink he had salvaged from a recent renovation...a stainless steel single sink, undermount, deep and wide and long and ideal for dinner party detritus. 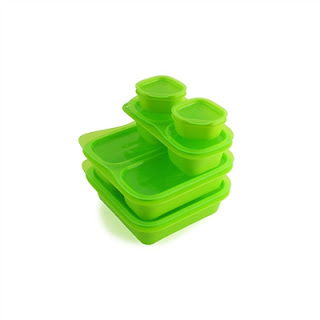 Made by a company called Blanco, which is known for the high quality of their products. I have always loved their stuff, any time I have ever been in "plan my dream kitchen" mode, I have looked longingly at their sinks and faucets. We received this gift thankfully, and stored it in the basement, waiting to make a smart decision about how much we wanted to put into this place that feels like ours, even though we rent. Then a few weeks ago, the universe sent us a sign. A PR rep I had met at the Housewares Show contacted me to see if I wanted to test out a new kitchen sink faucet from one of her clients. 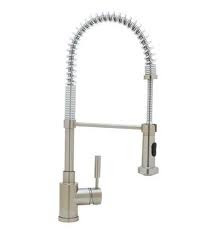 Inspired by commercial restaurant sprayer faucets, the faucet is tall and springloaded, with both regular and heavy sprayer functions, a swivel mount to get every area of your sink...an Uber Faucet. The exact type faucet, truth be told, that CS and I lusted after during our initial thoughts of renovation. Did I want to test it? You betcha! Kismet! 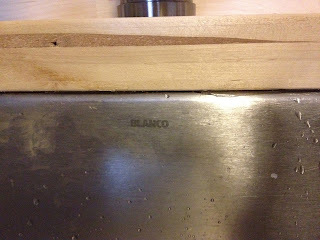 The faucet was coming to live with us, and it seemed only fair that we should install it with it's friend, the Blanco sink. United at last! Of course, this begins a Project, which is almost always accompanied by what CS calls Scope Creep. We have a free sink and faucet that need installation. This is, as they say, a VERY good problem to have. A problem of the very First World sort, and a problem we welcome gladly. First obstacle, old sink is drop-in, new sink is under-mount. Solution? Need a new countertop on that section of the kitchen. This is not so horrible, as a local store has large sheets of unfinished butcher block countertop for a very reasonable price, and we would only need one sheet. Plus butcher block is the kind of counter that you can use in conjunction with any other counter and not have it look odd...it is friends with steel and granite and Corian alike. So we call our handyman and pull the trigger. Within a day we have a new counter, sink and faucet. Lovely sink. Lovely faucet. Lovely counters, sealed with beeswax till they gleam. But, now look. Those tiles. They were bad enough when they had their dated friends formica and sink nearby, but now...so sad. I have to paint them. But if I paint them the color of the walls, they will just look like sad painted tiles. But they are pretty intricate and patterned... What it I painted them metallic pewter? 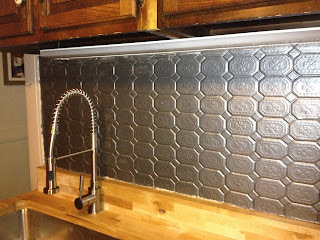 Might they not look like pressed tin, period appropriate to the Victorian house as opposed to the Disco era? Let's see, shall we? "I hate that formica. We have to do the rest of the counters now." Scope. Creep. So another call to the handyman. And another salvage idea. I have a piece of marble that I have always kept next to my stove as a resting place for hot stuff and a cool place for pastry work. It was originally the sink cut-out from a counter in my parents bathroom three houses ago. An off-cut gift to me, which I have schlepped around since 1989. What if we routed out a section of the new counter to inset the marble so that it was flush with the stove and became permanent? I am delighted to report that for the moment, the Creep has abated. With the exception of some new cabinet door and drawer pulls which are the last piece of the puzzle, we have stopped with the upgrades. 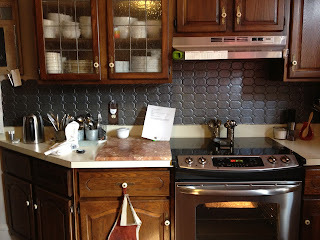 The kitchen looks fresh and new, and while it is more money than we thought we might spend, it wasn't so much that it felt egregious for a rental. Granted, the sink and faucet didn't cost anything, and the marble was a bonus. But for those of you looking to freshen things up, salvage can be your best friend. For us, it really was the function that made us pull the trigger. 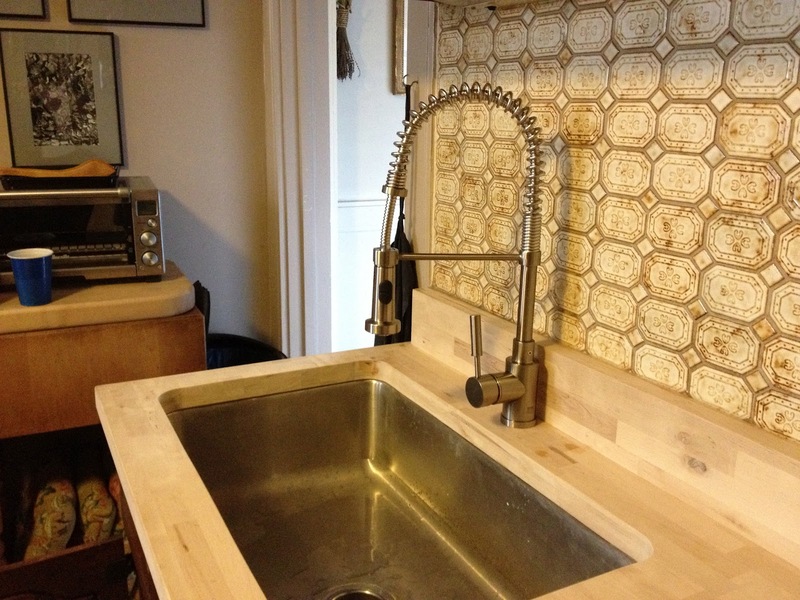 Whatever gratification we get from the new look, it is the new sink and faucet that are the true game-changers. The sink now holds nearly four times the dishes, and the faucet is everything we ever imagined and more, from filling big pots, to spraying off dried food bits like a little power-washer, and easy to maneuver to get to every nook and cranny, we are both madly in love. There are plenty of places to save money in a project like this. 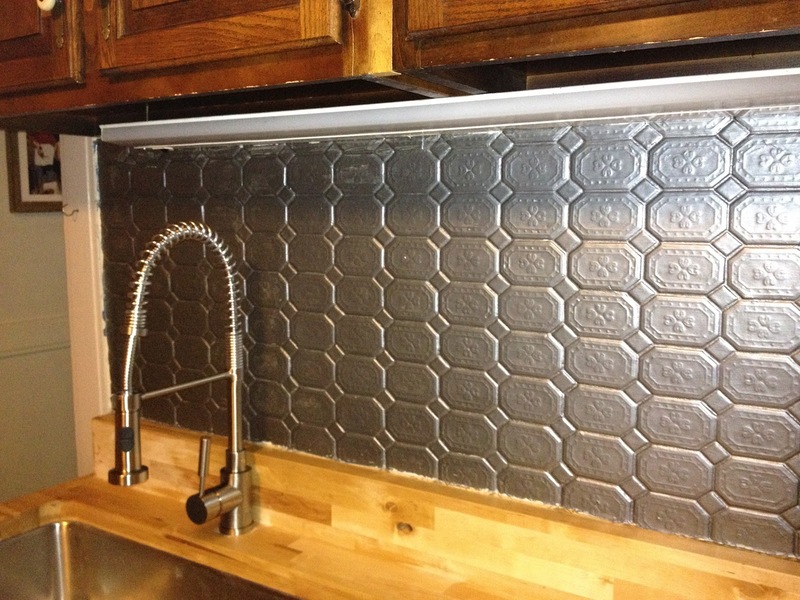 Looking for pre-made sheets of countertop materials as opposed to having them custom made saves a bundle. We got our unfinished butcher block in 36x72 sheets for $180 each and this whole kitchen only needed two sheets and still left us with the sink cut-out as a bonus new cutting board! Salvaged sinks can be a godsend, and not hard to find. If you have a relationship with a contractor, let him know you are looking...often they are delighted to give you the pieces they save so that they can get the installation work. And local marble and granite companies often have bits and pieces for a song. Being creative about paint and other easy fixes doesn't hurt either. But the two places you really want to spend your money? Quality installation if you are not qualified to install yourself, and really good faucets. Any plumber worth their salt will tell you to buy the best faucet you can afford, because cheap ones can be a lifetime of drips, leaks and poor functionality. I think of the faucet like a good long black wool coat. Spend a little more on a great one and it will last you a lifetime. Buy a cheap one and it will pill and buttons will explode off and you'll need to replace it every couple of years. Thank you to the lovely people at Blanco for inspiring my new kitchen, you have two new fans for life. Now I had better get in there and cook, I think I owe you all a recipe! 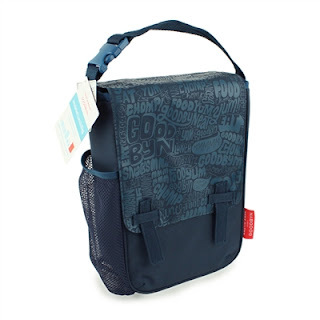 Congrats Lori C, you have won the Goodbyn lunch kit! Shoot me your mailing address at staceyballisinfo (at) gmail (dot) com and I will get it out to you. Everyone else, stay tuned, more fab giveaways coming later this week!